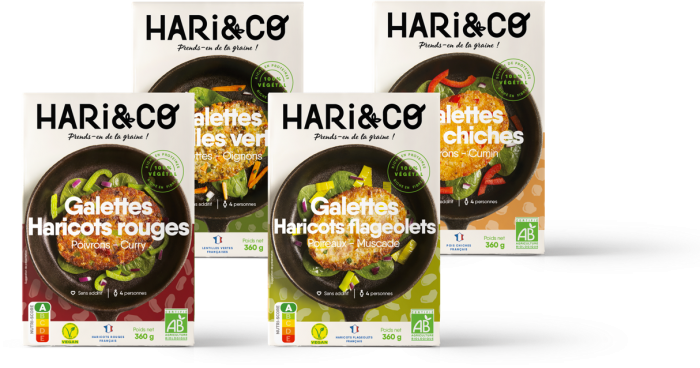 HARi&CO is a start-up specialising in 100% plant-based food whose mission is to give beans their rightful place within wholesome meals. It is dedicated to all those who want to be more mindful about their nutrition and still enjoy good eating. We want to inspire a revolution in your diet and lifestyle habits while encouraging you to prioritize pleasure and indulgence. Our ambition is to bring you healthy and delicious meals and caringly assist you with your dietary changes. Our organic green lentil burger and our organic chickpea no-meat balls are just some examples of the foods awaiting you. 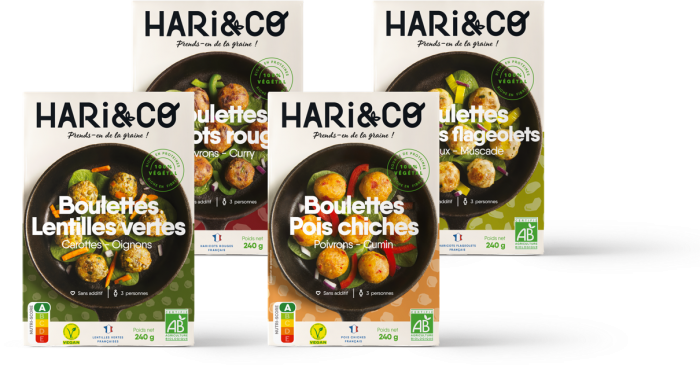 HARi&CO is the ultimate recipe for a new cooking style that is centred on health and taste, with the added bonus of benefitting your health and the health of our planet! At HARi&CO, we are HUNGRY TO CHANGE THE WORLD! We believe that it is possible to rebalance our diets without sacrificing the pleasure of eating in the process. We promote a Food Revolution to initiate a new diet, a new way of cooking that benefits our bodies and the environment, and ultimately, a new way of life. By reviving the appetite for organic French beans and integrating them into wholseome meals in new and original ways, we believe that we can change the world! Why? Because beans (lentils, beans, peas…) have plenty of nutritional benefits that make them a great complement to a balanced diet. And also because cultivating them provides many benefits to agricultural soils and is very water-efficient, factors which contribute to the development of sustainable farming in France. Learn more about beans. Driven by an irresistible urge to revolutionize European eating habits and to inspire a new way of life, our brand has laid its foundations supported by strong core values. To achieve this revolution, we are concentrating our efforts in France! Our products are meant to kick off a new way of eating and new way of life. We do not intend to replicate existing products, nor to imitate the taste and texture of meat. 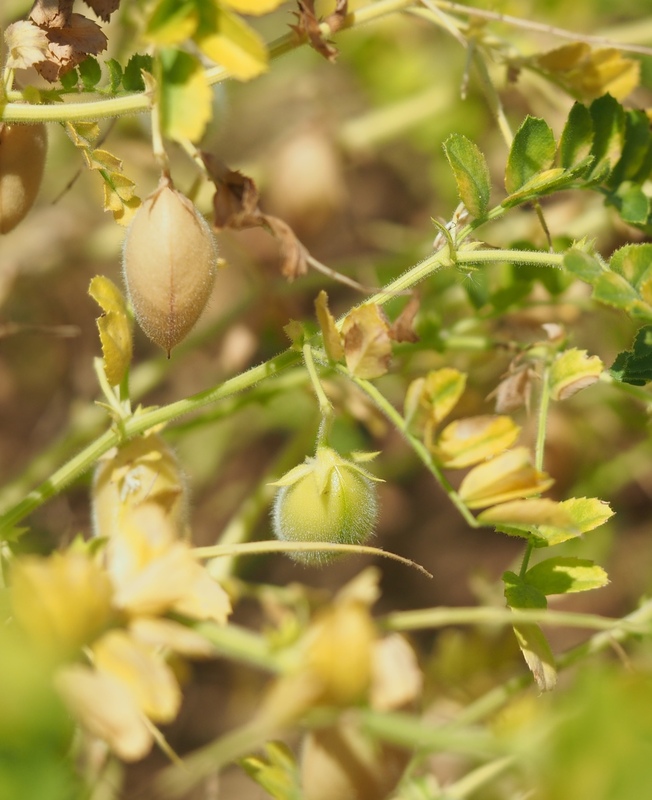 Committed to the “farm to table” system, we participate in the development of the French organic legume sector and we popularise the benefits of a plant-based diet, reaching into the mass catering sector (school canteens, corporate catering, etc.). We say what we do and we do what we say! Our recipes are additive-free. Our ingredients are organic, our beans are grown in France, our products are minimally altered and produced in France. We believe in the future and are confident that our food revolution will be widely endorsed, thus making the world a better place to live! 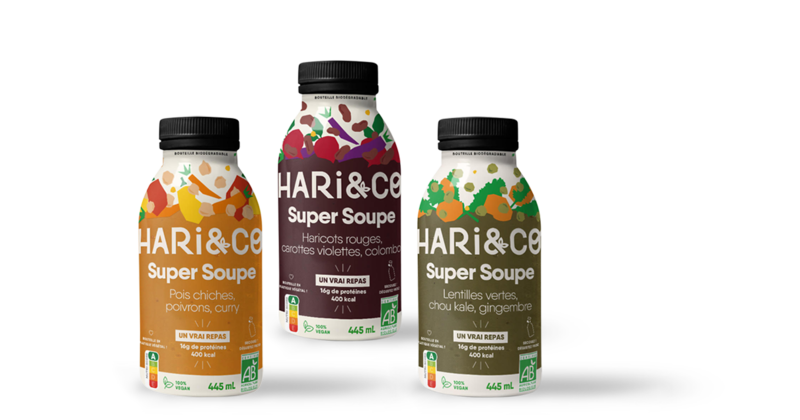 HARi&CO was brought to life by Benoît et Manu, two agricultural engineers from Lyon. Upon completion of their studies, they both took a keen interest in beans. Aware of the issues surrounding the overconsumption of meat and convinced that the hype for plant proteins would continue to increase over the coming years, they came up with a new product using commonplace ingredients. Instead of relying on soy, they opted for French beans such as green lentils, chickpeas, flageolet beans, and red beans. This is how their green lentil burger came to be while they were still students. They participated in and won numerous innovation contests in both France and Europe, leading them to obtain first-time financing. And just like that, they set the ball rolling! Once they founded the company and created new recipes, they began making a name for themselves by delivering to school and company canteens. The aim remains that of reaching a broad customer base with simple and delicious products. In 2017, the first HARi&CO consumer products were launched and began making their way to store shelves. 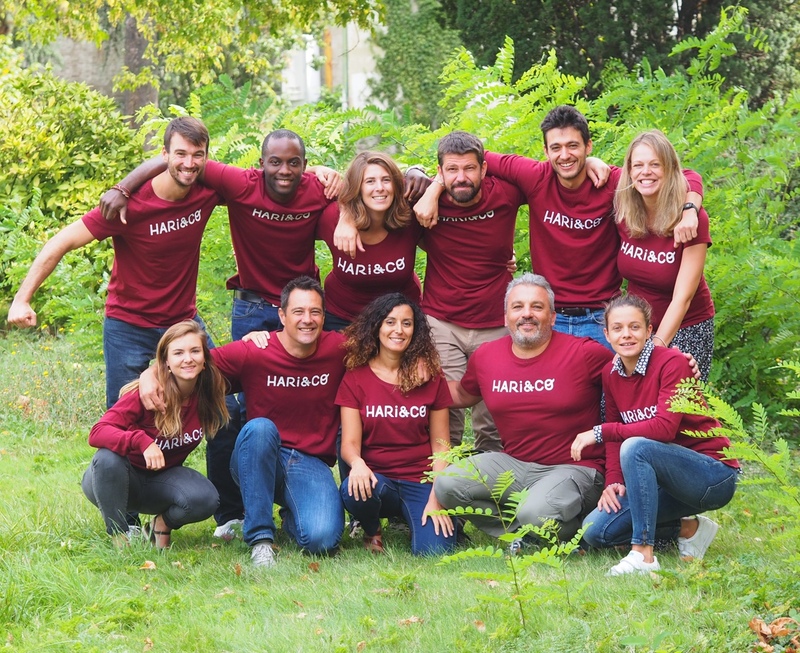 Today, HARi&CO comprises an expanded team of 15 people who are ready to take the journey even further! HARi&CO also incorporates the notion of a community made up of all those who share in our values and who want to participate in changing the world. This is not only a call to vegetarians, vegans, and flexitarians, but to all those who want to be mindful about their nutrition and still enjoy good eating.